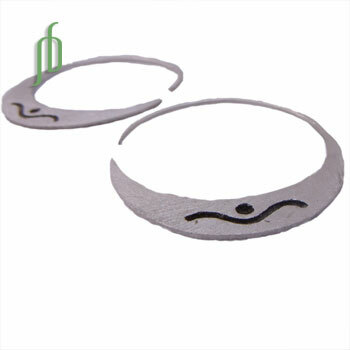 Our Shiva Moon Earrings are a beautiful, modern matte-scratch finish hoops that match the Shiva Moon Necklace. The shape is a full- and crescent moon in one and flows smoothly to represent the serenity of Shiva. Shiva is viewed as the King of Yoga.